Char koay teow with duck’s egg and extra prawns. See hums still raw and bloody. The real durians from Penang haven’t drop yet. Maybe in another month’s time. Meantime, we make do with clone ahkua durians from Perak. Satu kilo RM5. Perak is a DAP/PAS/PKR state so must support their industries. Bwahahaha…opposition rule states, let’s boycott Barisan Nasional run states. We go cuti-cuti, makan-makan, jalan-jalan, beli-belah only in the same five states. Haih…Khir Toyo blog also worrrrr…. Cibai!!! cholesterol level went up just by looking at it. You still owe me 100 plates hor? terence – I hope you whole night drool and dream about it. I going to sleep liao, must wake up at 6 am wei. I hope tomorrow still got voice. Got duty, mati lah. 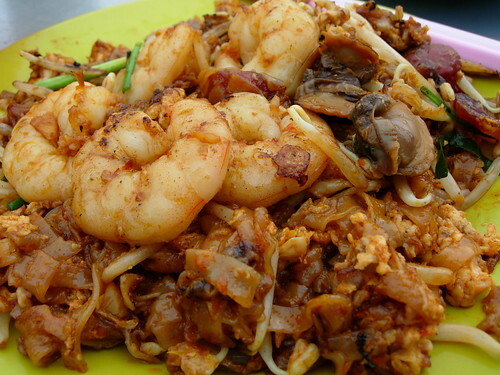 i <3 char kuey teow! besides kari, its no 1 penang thing that i love! to your previous post, i say; LAWAK. Damn ittt.. i haven’t had char kuey teow for ages… now you’ve done it. We pretty much already do that :P.
Wah lau ehhhhh! Are those really from the hawker stores or from home cook? Bloodly syoik just looking at it. 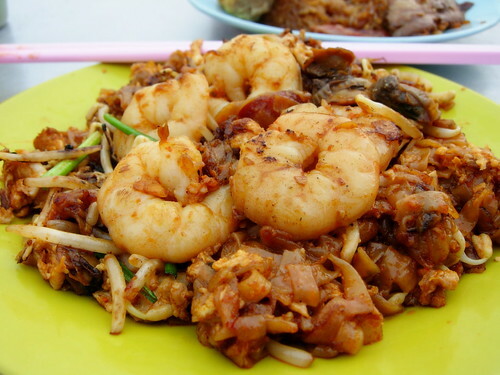 I heard in Penang, there is this road/lane that has the best Char Kway Teow, any Penangites know where it is? Somemore using duck egg…..how to diet like that? Is “End of the world” still around?? Hope you don’t mind all the questions…..he,he,he….out of town people is like that one loh…. wah, you die die also don’t want link his blog. LOL!!! gosh i miss home! 6 weeks to pg + hokkien mee + char koay teow + or kuah moi + gandum + fried oysters + swatow lane mee sultan ! Holy Moly…. fark my dietician and her charts… lemme have that plate of char koay teow….. 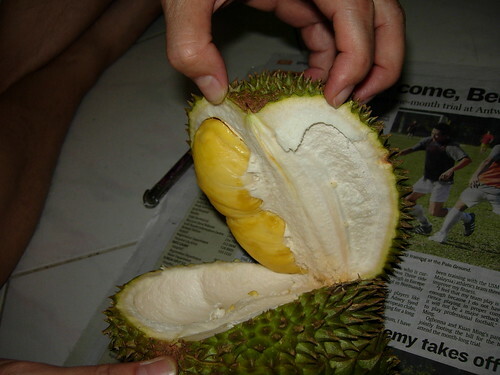 Personally, I prefer Penang durians la! Ehh…the char koay teow, which stall? The one in Pulau Tikus ke? Wai wai wai, aoa clone ahkua durians from Perak HAH!!! the most important is the char koay teow must hav banyak bak ewe pok, yumm…..
Hey Sis, I know u wanna help out Perak. But how can you buy durians there? I tot onli Penang durians is the most delicious and yet you settled for 2nd best? Jatuh stenderd abit leh…. Hehehehe! lilian,u just make m hungry.i had dimsum in starhill which tasted worse than ipoh’s foh san dim sum but cost 5 times the price.starhill daylight robbery me ler though not i pay.my amg moh friend kena tipu ler..LOL..
i wana eat pulau tikus char kuey teow.. Sorry I busy upgrading all my blogs to WordPress 2.5. Vincent – You go to my food blog at http://www.malaysiabest.net and the answers are all there. hey rachael! jom let’s go back home and eat ok? no need go nice nice places to eat LOL eh are you in kl or uk adi? eunice : sure!!! no problem-o! eat to our heart’s content! BEH – This one is from Padang, Jalan Johor night hawker. ok still got time, i’ll be around may-aug! lol.